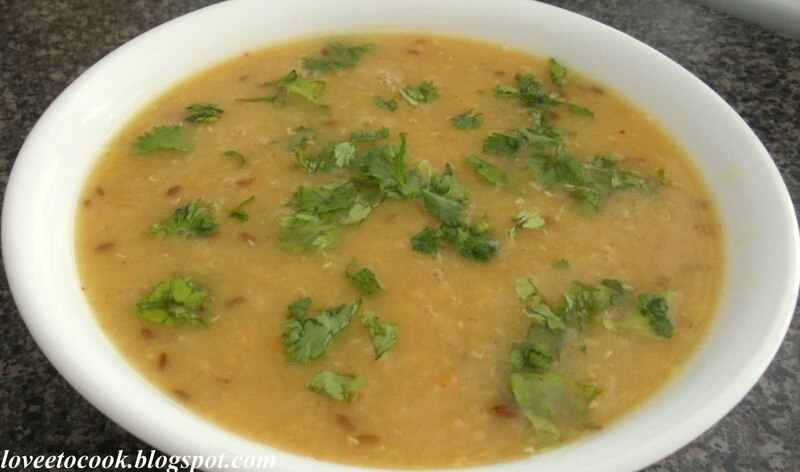 Lentils or daal as it is called in India is a very important source of proteins in a vegetarian diet. Lentils are mild and earthy so mostly they are cooked with some assertive flavorings but at times so much so that the spices overpower the mild soothing taste of the star ingredient -"daal". So here, i have tried to make the dish with minimal yet perfectly complementary condiments such that one can savour every spoonful of the magical symphony so created. My idea is for you to explore and relish the clean simple yet the complex rendezvous of flavors in this dish. To draw an analogy, you are an artist who truly appreciates a random stroke of a bright vibrant color on a blank canvass, to get consumed by this dish. 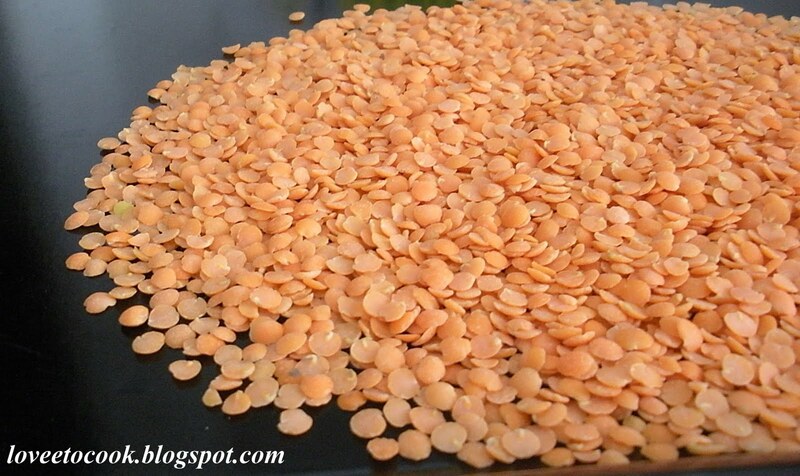 Red split gram in particular is a skinned, salmon-coloured lentil which cooks very quickly and turns golden when done. The recipe is made in a pressure cooker but in case if u dont have one , use any vessel with a heavy top. Put the oil in the cooker on medium heat, let it rise to a temperature half way to its smoking point. Add cumin, grated garlic, stir so that the garlic doesnt stick and burn . Let the cumin pop. Now add the red chilli powder, turmeric powder and salt -- stir and add a sprinkle of water so that the spices do not burn. Close the cooker and bring the stove to high heat. Remove when the cooker whistles once. Let it sit for some time and then open. In case if you are using a vessel, check if the daal is done by pressing it against the vessel walls-- if it gives in and mushes , its done. Importantly, serve with a green garnish of cilantro leaves and lemon juice. Yum!! Tip: To keep green leafy vegetables intact for long, Drain excess water if any and wrap them in a thick tissue cloth/ paper to be stored in a ziplock in the refrigerator.